Los Angeles, CA – The beautifully diverse and sunny City of Angels gives us so many reasons to love her – from glorious beach-fronts and breath-taking sunsets to spotting Hollywood celebrities and cruising palm tree lined boulevards. LA is one of the most ethnically diverse cities in the world, making it a truly global city. From San Pedro to the San Fernando Valley, LA is home to 211 sites that are on the National Register of Historic Places, including the Los Angeles Memorial Coliseum, the Bradbury Building, Watts Towers and the Ennis House. As the entertainment capital of the world and home to more creative residents than any other city, LA has a long history with film, TV, music and literature. From the world class LA Philharmonic to the Walt Disney Concert Hall, J. Paul Getty Museum and LACMA, LA’s cultural legacy continues to grow. 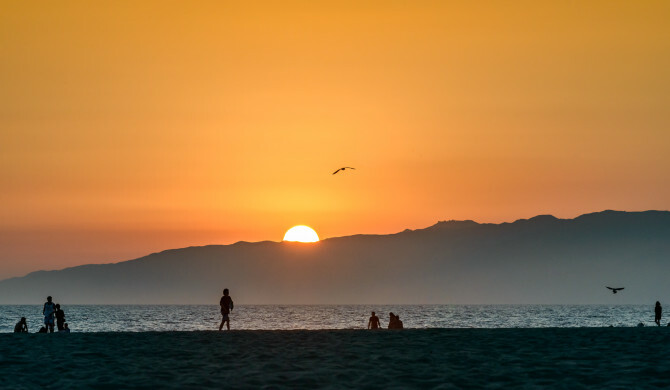 If you enjoy eating fish tacos while soaking up the SoCal sun, then the sunsets as seen from either the Santa Monica Pier (located at the foot of Colorado Avenue where the iconic Route 66 ends at the sea) or Venice Beach are a fantastic way to wrap up a day of exploring a a city of endless entertainment – the City of Angels.